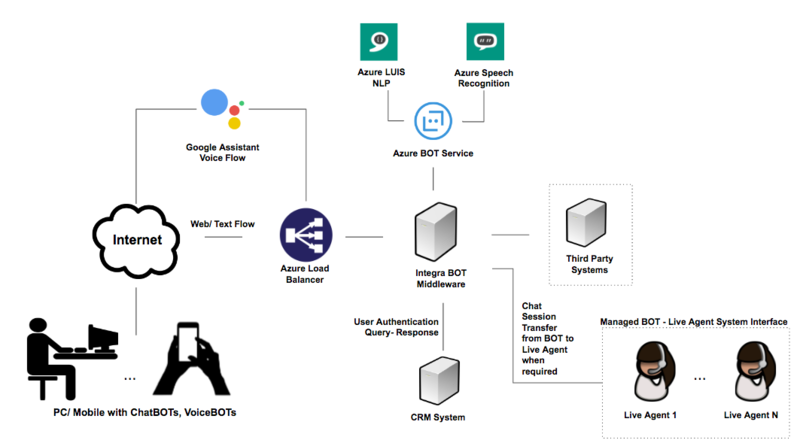 An extension to ChatBOT, the VoiceBOT includes Voice as a primary means to communicate with the BOT, although textual input is enabled as well. Instead of typing text, the user speaks to the BOT, in natural language. The BOT decodes the intent and utterances, send queries to other systems, receives responses and converts the same to natural language speech, and responds to the user in the given language. Hence, the conversation includes speech. Interaction between the BOTs and humans has been made easy with theDigitalworkers's Voice BOT by implementing Speech/Text enabled conversation. theDigitalworkers's Voice BOTs are enabled to speak to the BOT, to do all your jobs. You can talk to the BOT in English, Hindi and Kannada and it will recognise, understand, comprehend and respond to the user's query. theDigitalworkers's Voice BOTs are customizable to the languages the User prefers and with adaptable features it makes all the activities easier like - Enabling a Kiosk with Voice BOTs.